The triple shock of a huge earthquake, a devastating tsunami and an unfolding nuclear accident rocked Japan in March, and my condolences go out to all the many thousands affected. Luckily, none of this could never happen here in Britain. Or could it? Despite public disquiet over the safety of the industry since Three Mile Island and Chernobyl, nuclear power has regained political favour in recent years. Amidst desperately slow progress in investing in renewables to fill a looming energy gap in the UK, successive governments have presented nuclear as a clean, cheap and proven solution which also offers zero carbon emissions. Faced with public concerns after Fukushima, ministers have maintained that the UK is unlike Japan because there are no appreciable seismic risks. We do have earthquakes, but mostly they are minor. But low seismic risk falls far short of guaranteeing safety. The more important question is whether there are risks from geological or meteorological events which could threaten the safety of our existing and future nuclear power plants. And I’m afraid the answer is a resounding yes. 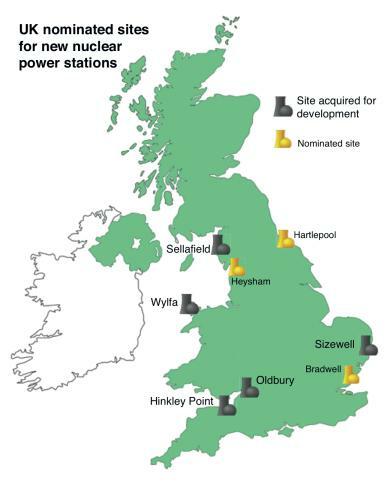 All our nuclear power plants are located by the sea. The sites chosen combine a ready source of cooling water with locations in relatively remote areas some distance from centres of population. If minor leaks of radioactive material occur, as historically they have done at Sellafield and Dounreay, the health risks have been minimal, so far. 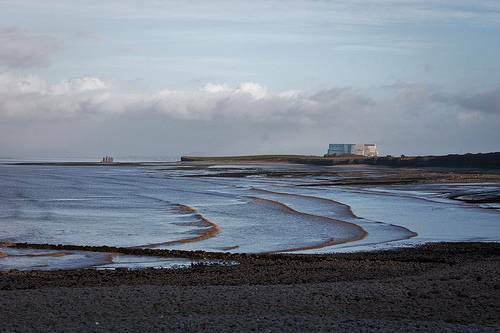 Looking beyond the troubling observation that the Irish Sea close to Sellafield was (until last week) the most radioactive stretch of ocean in the world, are seaside locations good places to site nuclear power plants? It depends on whether the coastlines chosen are safe from natural hazards. Even in Japan, the tsunami risk was seriously underestimated. Predictions allowed for a 5m wave, but the northeast coast was struck on 11th March by a 10m wave, and the defences were completely inadequate for this. Now Britain does not experience frequent powerful earthquakes like Japan, but we do have tsunamis. And the effectiveness of tsunami defences around our British nuclear plants? Probably very limited. In 1755, the massive Lisbon earthquake unleashed a devastating tsunami across the North Atlantic. By the time the wave hit the coast of southern England four hours later, it was diminished, but still over three metres high. 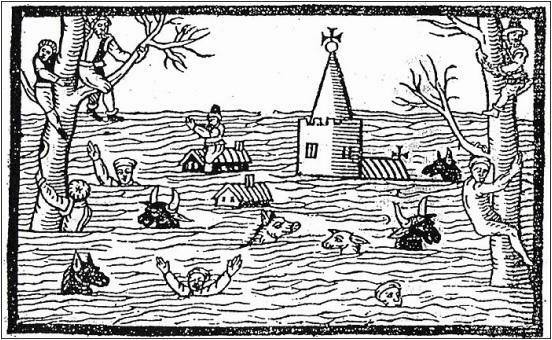 In January 1607, a tsunami resulting from a submarine slide somewhere in the Bristol Channel may have been the cause for a mysterious fair-weather flooding event which struck along 570 km of coastline in North Devon, Somerset, Monmouthshire and Glamorgan. Reports describe a mysterious tide which rose suddenly between 5 and 8 metres higher than normal. The area affected then includes the site of the Hinkley Point and Oldbury nuclear plants in Somerset and South Gloucestershire. An official flood risk report on Oldbury estimates that a tsunami here will not exceed 0.1 m in height, somehow ignoring the historical evidence from 1607 of flooding over 50 times higher than this. Rare as they may be around our UK shores, two devastating tsunami within the last five hundred years is two too many for comfort. The recent Japan earthquake was the strongest in the area for at least 140 years. But it happened. Tsunamis will hit our British coasts again. The effects will be devastating because we’re completely unprepared — and so are our nuclear power plants. And what about storms? 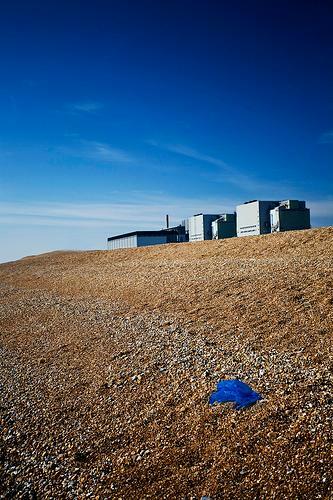 The nuclear power plant at Dungeness is situated on a lonely shingle spit, some 75 miles from London. Close enough to provide power to our capital city, whilst far enough away from population to leave some room for error. It all sounds good until we remember that this shingle coast is very mobile. Just 20 km along the shore, the village of Winchelsea was literally swept away by a massive storm in 1287. Such storms may not happen very often, but when another one occurs, Dungeness will be at risk. 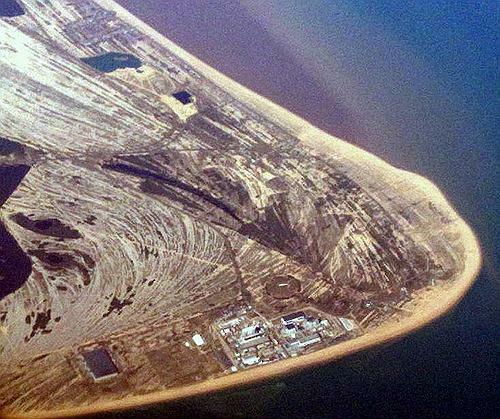 Fortunately, UK Energy Minister Chris Huhne rejected Dungeness as the site for one of our next generation of nuclear power plants. But rising sea levels pose a risk to the other sites which were approved. At Oldbury, the existing flood defences currently provide cover for a 200 year flood, but assurance falls to the level of a 100 year event by 2025. Coastal defences will offer effectively no flood protection at all to the Oldbury site by 2055. It’s clear that storms, tsunamis and global sea level rise will place our existing and new nuclear plants in danger, even in the UK. 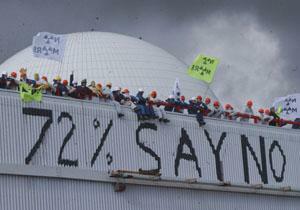 There’s no safe place to site a nuclear power station, and we should stop building them, right away. A few minutes working through the My2050 energy model for the UK shows that withdrawing from nuclear power will leave our energy future as very challenging indeed. But it’s the right decision. Because the awful experiences of Japan this year – and they look far from over yet – are a timely reminder of just how desperate the nuclear present can be. This entry was posted in 2011, economics, energy, environment, geology, global warming, history, peak oil. Bookmark the permalink.